Eight of out 10 businesses fail within the first 18 months. This statistic is essentially canon in the startup story. It has been quoted and re-quoted hundreds of thousands of times to discourage bad ideas and inspire great ones. CEOs, business managers, IT guys and janitors have muttered this phrase under their breath, heard it in a conference room or yelled it at a developer. And it turns out: it isn’t even true. The startup failure myth started with a Forbes article from 2013, that plainly stated, eight out of 10 businesses fail within the first 18 months. The article references a source from Bloomberg, which is unlinked and unfindable. But with reputable sources like these behind the statistic, it must be true, right? You are incorrect, sir! The actual data is far from consistent with the startup failure myth. In fact, it’s far from consistent across the board. According to the US Bureau for Labor Statistics, 50 percent of all new business make it to their fifth year and one third make it to their tenth year. A study from Harvard Business School stated that three out of every four ventured-backed companies failed overall. The Small Business Administration says that 66 percent of businesses make it to two years. The problem is that no one can decide on what companies count, and which ones don’t. With all this conflicting data floating around, it is difficult to say how often new businesses fail. However, you can say that eight out of 10 is a bit cynical considering the data. Typical numbers hover around inverse of the myth, stating that two out of every 10 companies fail in the first year, while a little more than half make it to the end of the fifth year. In fact, no market in the world adheres to the “eight out of 10 rate of failure” myth. Check below to see the full interactive version. (via Fleximize.com). The reasons for these failures are different for everyone. CB Insights actually compiled an array of stories from startups that failed to better understand the cause of failure. The top 20 reasons were recorded, with the top three being an absence of market need, a lack of capital and a professional team that was not right for the job. And while these reasons stopped some companies from reaching the pinnacle, you can be sure that they did not stop 8 out of 10 startups in the first 18 months. 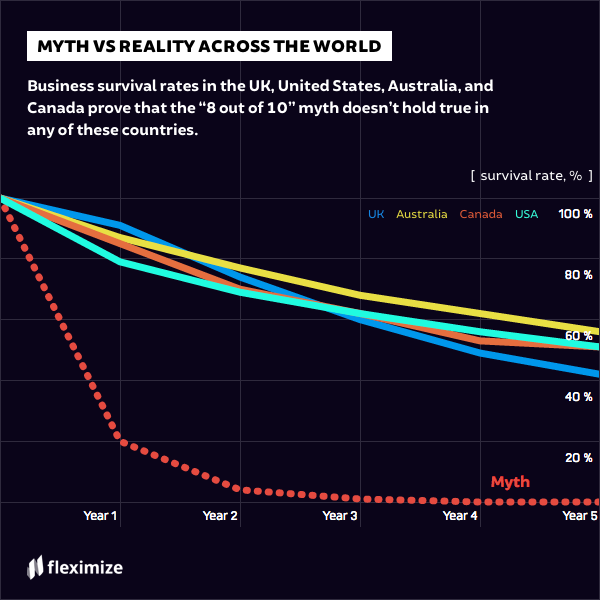 The full infographic debunking the startup failure myth, powered by Fleximize.com, is available to view below. 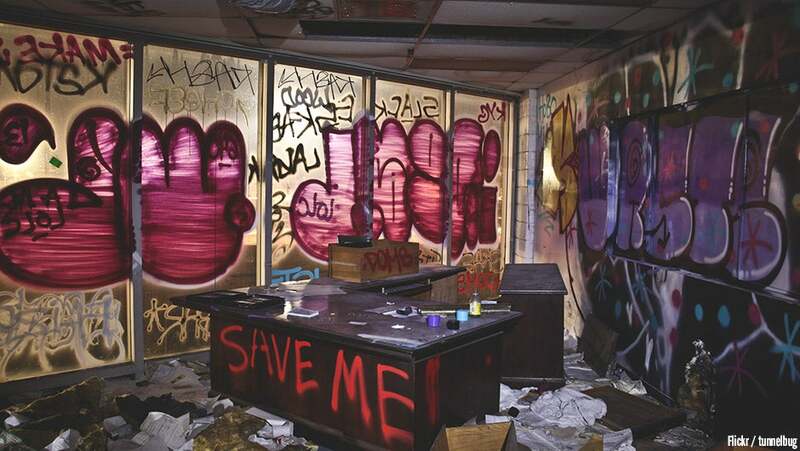 A Massachusetts man, associated with hacktivist group Anonymous, has been sentenced to ten years behind bars for starting a DDoS attack against Boston Children's Hospital, as well as a $443,000 fine. The attack crippled the hospital, rendering it ineffective for several days.